Q: What is the story behind Approyo, how did you start? A: I started Approyo after meeting with a colleague at SAP and discussing SAP HANA. At the time, I was retired, and my colleague and friend at SAP came over to talk to me about this new technology called SAP HANA. After sharing a bottle of scotch and talking about my poor golf game, he convinced me it was worth looking at SAP HANA. At this point, I wanted to learn more, so I went to the SAP offices in Palo Alto and Germany to really get my hands-on HANA and see what it can do. 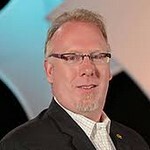 I quickly saw that SAP HANA was truly a game changer. My next step was to become one of the early members of the SAP Startup Focus program. This program was a new initiative at SAP geared toward helping innovative start-ups grow their relationship with SAP and jumpstart their business. This program was instrumental in getting Approyo off the ground and growing in our early days. The rest they say is history… Over the years, we continued to build and grow our services, team and environments around SAP HANA. This focus continues to help us stand out in the SAP ecosystem and help companies and other SAP partners implement SAP HANA solutions. Q: For the third year in a row, Approyo is on the Inc. 5000 list of America’s fastest growing private companies. How important is it for you? A: The ranking is very important at it continues to solidify our strategy and mission to become the leading global SAP Cloud Centric Solution provider. It’s not a question of “if” a company will move to the cloud anymore, it’s a question of “when” and “how”. This shift in thinking has helped us reach many clients who need to move their SAP environments to the cloud. 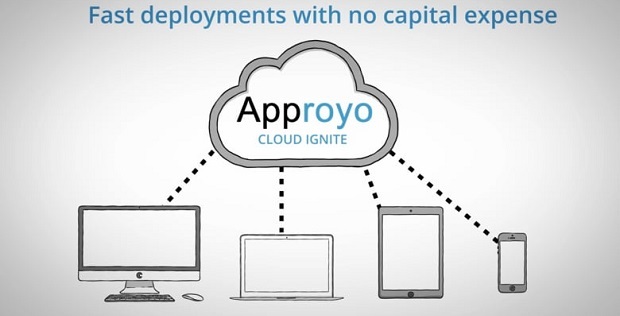 When Approyo started, we really had to educate companies about the cloud. After many years of doing this, we are seeing the reward and we are viewed as a trusted advisor and true business partner. Q: What are the major business benefits of SAP HANA? A: SAP HANA provides a single in-memory data platform that supports both transactions and analytics on diverse data, a key requirement for applications supporting a modern, real-time digital business. In today’s digital economy, businesses cannot act on stale insights, thus a true in-memory data platform should support real-time processing for transactions and analytics for all a company’s data. This is a key differentiator of the SAP HANA platform against other traditional database vendors. SAP HANA natively provides capabilities for machine learning, spatial processing, graph, streaming analytics, time series, text analytics/search, and cognitive services all within the same platform. Applications on SAP HANA can provide real-time actionable insights from a wide-variety of data types. Combining these innovative technologies with SAP HANA’s advanced application development, modeling and custom algorithm support inside the database layer, more business logic can be executed close to the data. Specifically, SAP HANA’s support technology like stored procedures, business functions, core data services, rules framework, calculation views, and the application function library provide developers with a way to easily model complex data-intensive operations as close to the data as possible. Most competitive solutions require that you copy the data between core data storage and other technology stacks to perform these advanced analytics on the data. HANA is also a powerful platform that easily integrates third party applications and data from other sources, such as social media and sensor readings, from the rapidly expanding Internet of Things (IoT). In today’s SAP environment, as much as 60% of applications supported by HANA are third party. The HANA platform enables on-the-fly business intelligence by quickly aggregating data from different sources and integrating it with SAP Business Suite, as well as third party tools. Q: I read something about your partnership with BOHH Labs, how did that start and where do you see the relationship going? 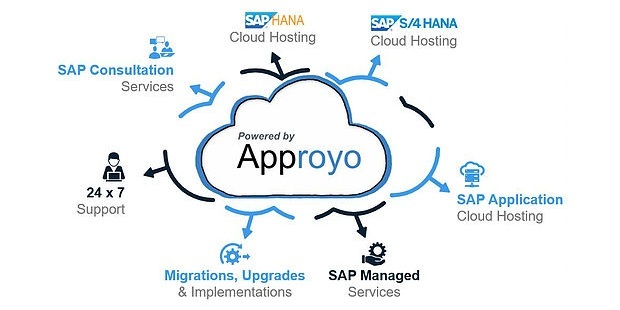 A: The joint solution between Approyo and BOHH Labs is addressing the challenges enterprises face migrating to the Cloud and enables SAP customers to leverage the analytics capabilities of SAP HANA, while gaining a secure method to easily access all enterprise systems to quickly find, search and unlock the value of all their data. As more and more companies make the migration to HANA and the Cloud, they will need to leverage a trusted advisor and that’s where this partnership comes in. Often companies are hesitant to migrate completely to cloud deployments due to security, performance disruption and accessibility. This includes migrating to the new SAP S/4HANA platform. The BOHH/Approyo partnership is reducing these setbacks.